Period Images is the premier destination for high quality images traversing a wide range of genres from the past to the present. It is our goal to provide you with hard to find, but affordable images reminiscent of a particular era for all your publishing needs.  *Do you know that Period Images does full production film and photo-shoots? From custom-made attires, to hair, make-up, and set design, Period Images is fully staffed with designers, professional stylists, and model-actors, to depict scenes and capture the essence of the era. All of our images have Model and Property Releases. Period Images also owns the Design Copyright and Trademark of all the attires we use, so you're guaranteed that you'll never end up with a cover image of models wearing cheap Halloween costumes found online, or in rental and seasonal stores. See behind-the-scenes and advanced previews! Click on the banner below and Like our Productions page on Facebook! Click on the banner below to like our page on Facebook! Do you have a particular scene in mind that you can't find in our portfolio? Contact us at PeriodImages@outlook.com and request it! We might just include your suggestion in our next photo-shoot.